It’s the tallest building in the world. This one isn’t open for debate. It’s a beautiful building. Truly. 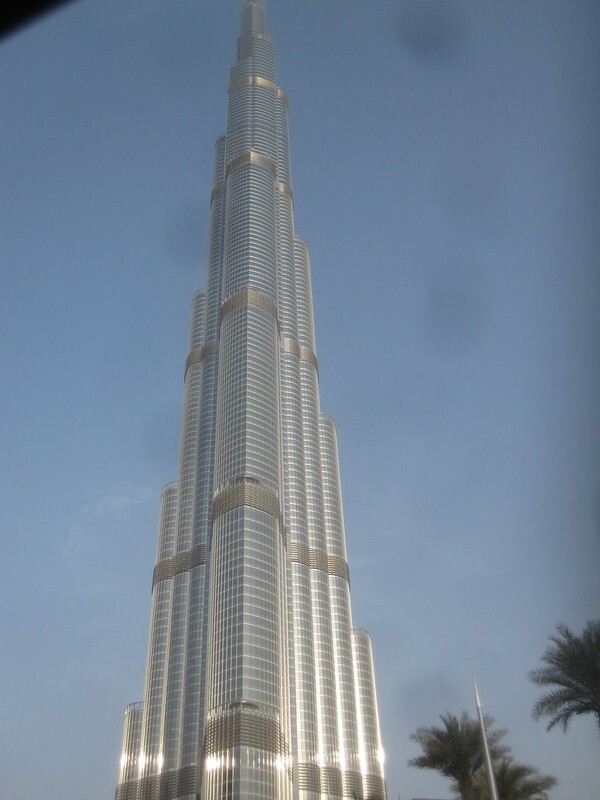 Dubai is blessed with tall buildings. Sometime in the near future I’m going to do a study of how the city ranks in terms of the number of high-rises versus other cities. There were just too, too many buildings over 50 stories. Martin said he lives on the 30th floor and used to live on the 60th floor of 80-story building before he moved and scaled down a little. I tied to think of how many cities in America had apartments on the 60th floor and above. I couldn’t think of a whole lot in the United States. Only Asian cities came to mind as potential candidates. This entry was posted in Travel and tagged Asia, Dubai on August 8, 2012 by Steve. 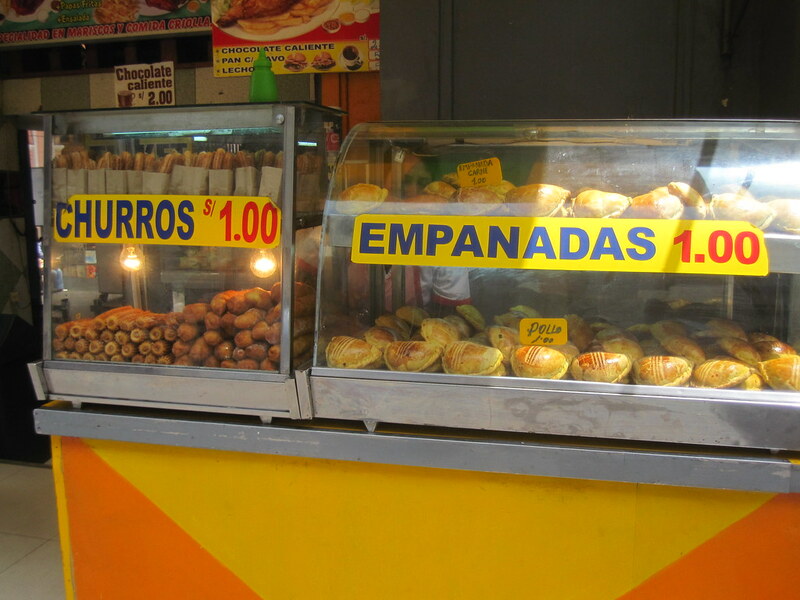 They have lots of street food in South America. And in Europe, Africa and Asia. It’s one thing I miss when I’m home. 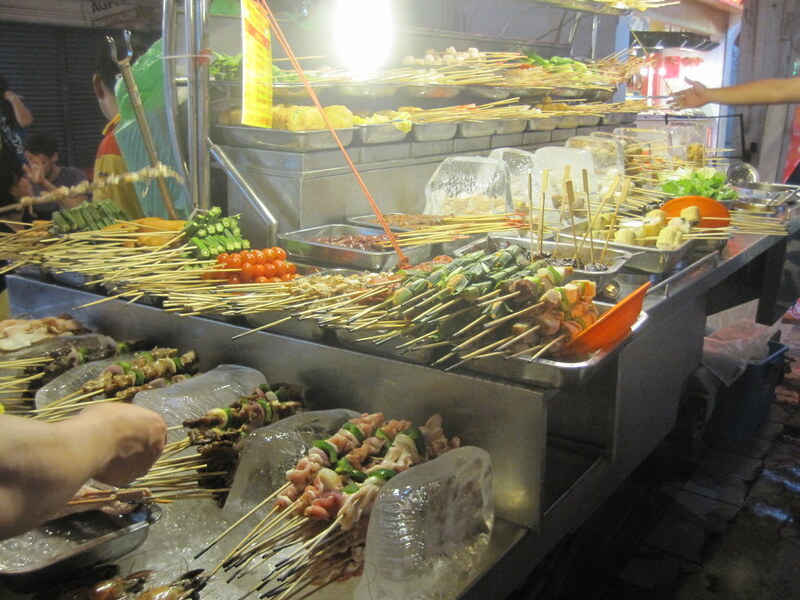 There is some great street food in the world and we don’t have it in America. Granted, we have fast food joints, but it’s the surprise of never knowing what will show up around the corner to tantalize the taste buds that keeps me interested. I like the empandas. I can live without the churros. This entry was posted in Travel and tagged Africa, Asia, Europe, Food, Overland Trip, Peru on September 21, 2011 by Steve. Okay. 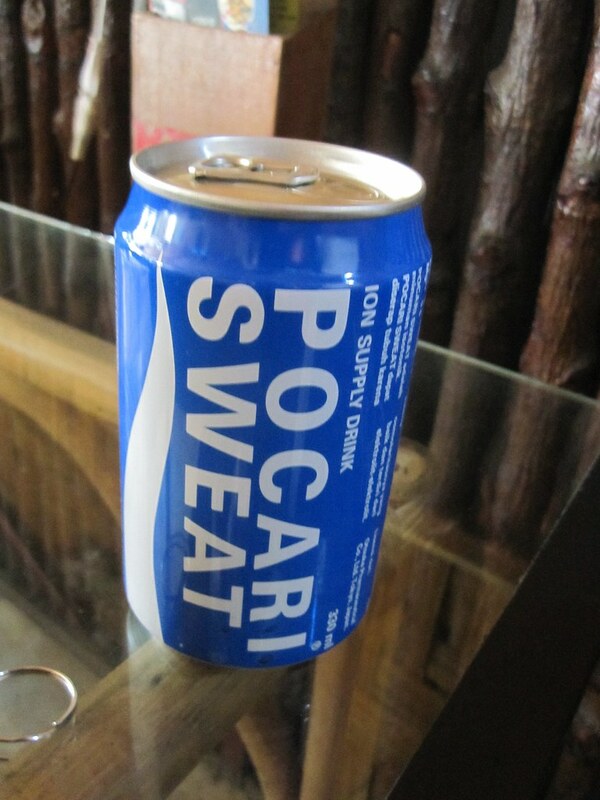 I’ve seen this stuff all over SE Asia. The name really turned me off. I think it was the "sweat" part. I never did know what it was. So, one day I asked. "It’s like Gatorade." someone told me. I tried one. I’m sticking with Gatorade. 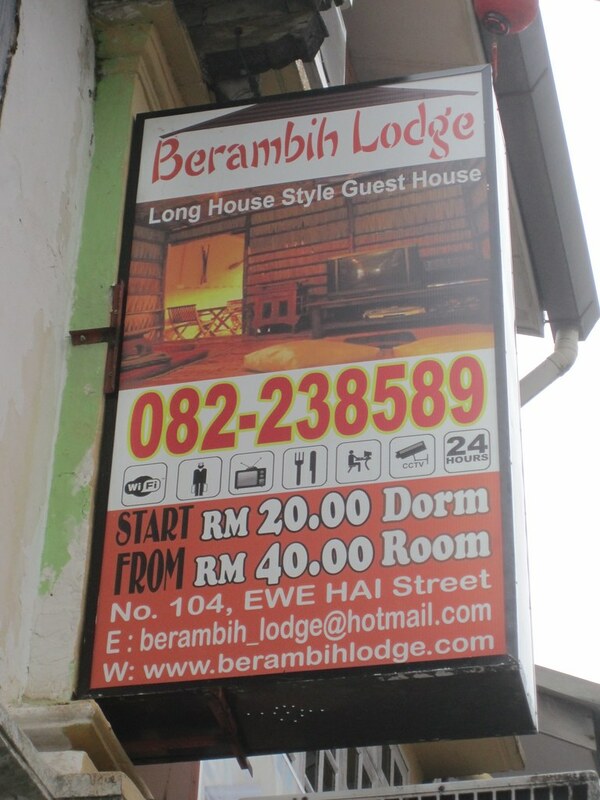 This entry was posted in Travel and tagged Asia, Indonesia, Medan, Sumatra on March 8, 2011 by Steve. Asians call it Bar-B-Que and I guess that’s what it is, if you are comfortable that you can have Bar-B-Que with peanut sauce. Anyway, they take a variety of foodstuffs, put them on wooden skewers, color code the skewers as to price and then grill-to-order. Oh, and another thing, while you can get chicken, pork, fish, squid, shrimp, frog, and, if you take the guy aside, maybe you can get a little rat or snake, but, there’s no beef. "No beef?" I enquired. "No beef!" the head chef said in his best Asian-English, looking at me like I was some kind of rube from Terlinqua, Texas and never heard of Bar-B-Que before. So, there you have it, the Chinatown version of… Bar-B-Que. This entry was posted in Travel and tagged Asia, China, Malaysia on March 8, 2011 by Steve. It was an orangutan feeding at the Semenggoh Wildlife Centre. I was lucky enough to see the staff feed five orangutans that live at the facility in the afternoon feeding session. They feed once in the morning and once in the afternoon. Semenggoh is a really neat place. It’s a center for rehabilitating orangutans that are having problems. There are no fences. The orangutans are loose. Notice the one on the picture had come down to take food out of the feeder’s hand. It was quite a show. It was one of the coolest, most interesting things that I saw when I was in Asia. I’ve heard that there can be as many as 20 of the orangutans present during one of the feeding sessions. I’d really like to see that. It’s one thing to see a docile animal, sitting in a cage in a zoo. It’s another to see them in roaming free in an area where they live. I was impressed. It wasn’t anything like I had imagined. 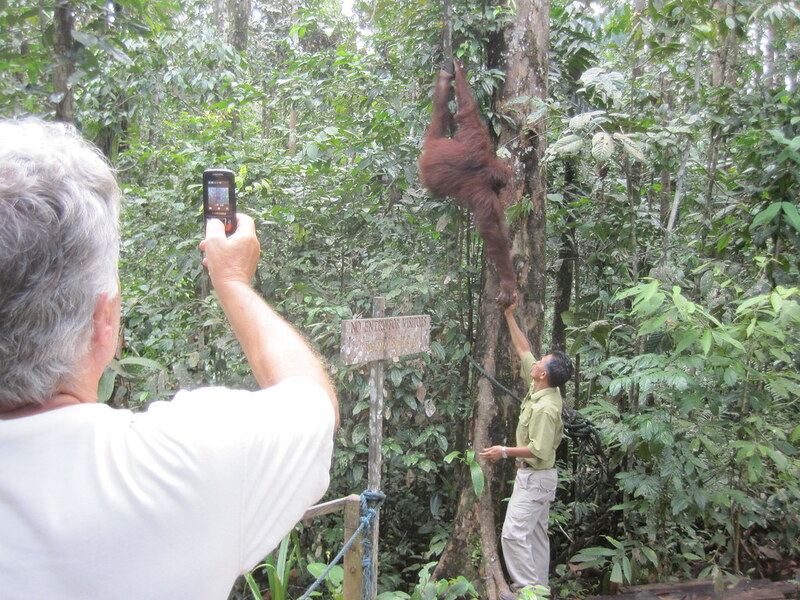 Do you know that orangutans like to hang out at 30 to 60 feet up in the forest canopy? I thought I was cool driving up and down the strip in my hometown when I was a kid, but swinging around the canopy of a rain forest at 30-60 feet is so much cooler. They’re really great at swinging from tree to tree. I sat there amazed, watching them elegantly wandering around above me, effortlessly moving from tree to tree. This group was so much better than Tarzan ever thought about being. I could see where I might spend a few morning or afternoons a month at the center watching the orangutans if I lived in Kuching. This entry was posted in Travel and tagged Asia, Kuching on March 1, 2011 by Steve. 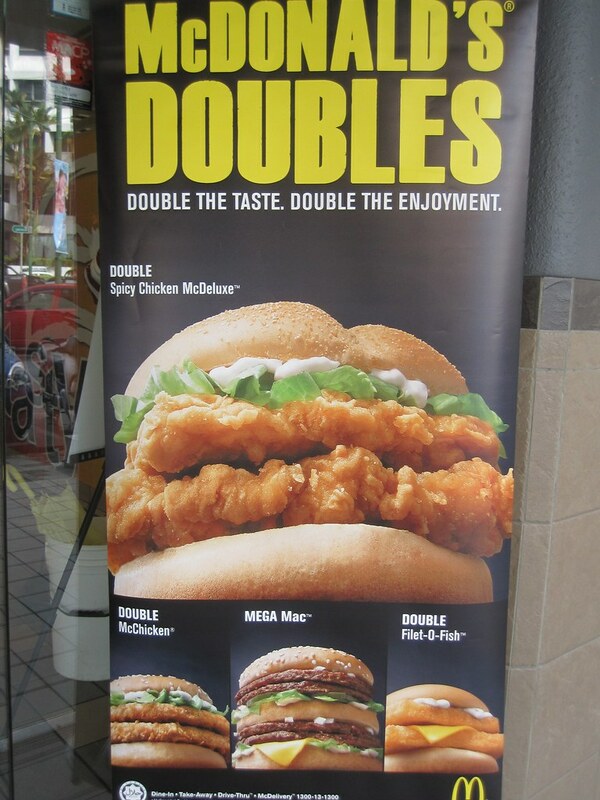 They have some really big burgers at the McDonald’s all over Asia, with the exception of India, of course. In this picture, that Big Mac has four pieces of meat on it. Holy Stomach-Ache, Batman. They also have a couple of burgers that aren’t shown on this sign and they’re called a Prosperity Burger. They’re rally big, too. Why don’t we have huge burgers like this in America? Aren’t we prosperous? Don’t we want to get fatter? This entry was posted in Travel and tagged Asia on March 1, 2011 by Steve. 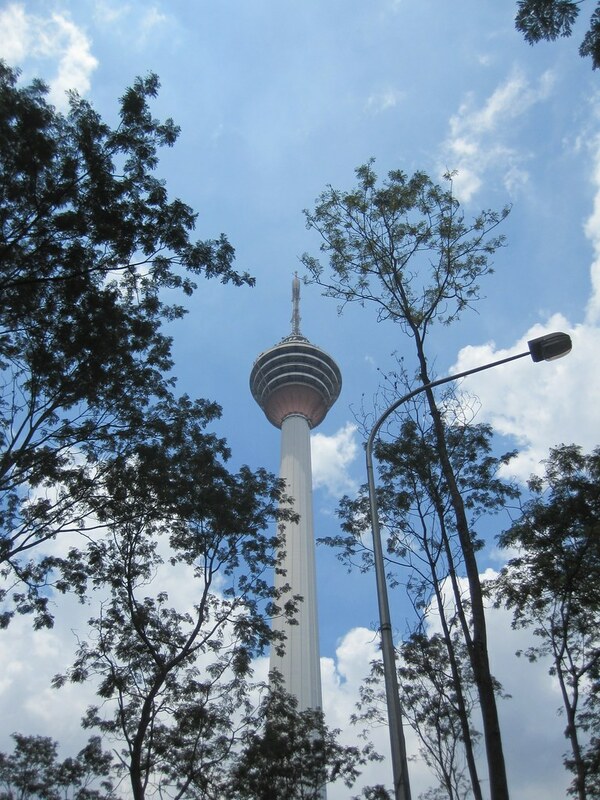 It’s the KL Tower. It’s one of the largest communication towers in the world. I’ve been there a few times. It has an observation deck t the top and a restaurant at the top that goes around every hour. I had lunch there once. It cost me $25, but the view was worth it. It was one hour of really good food and one of the best views Asia has to offer. At least as far as the urban views are concerned. Everywhere I went in Laos they advertised all of the temples as "smoke free temple", meaning that a person could not smoke a cigarette in the temple. Perhaps even on the temple ground. You could, however, start a fire and burn your trash. That seems to be how they get rid of all their trash in Laos and the rest of Asia for that matter. They just burn it. There is a constant haze over all the cities that I visited in Laos and India. It was smoke from all the burning debris. 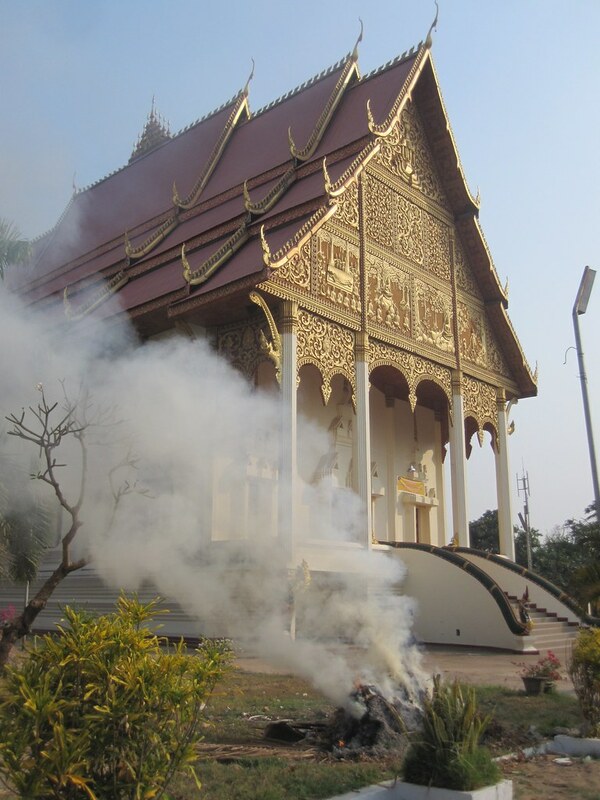 This entry was posted in Travel and tagged Asia, Laos, Temple on March 1, 2011 by Steve. 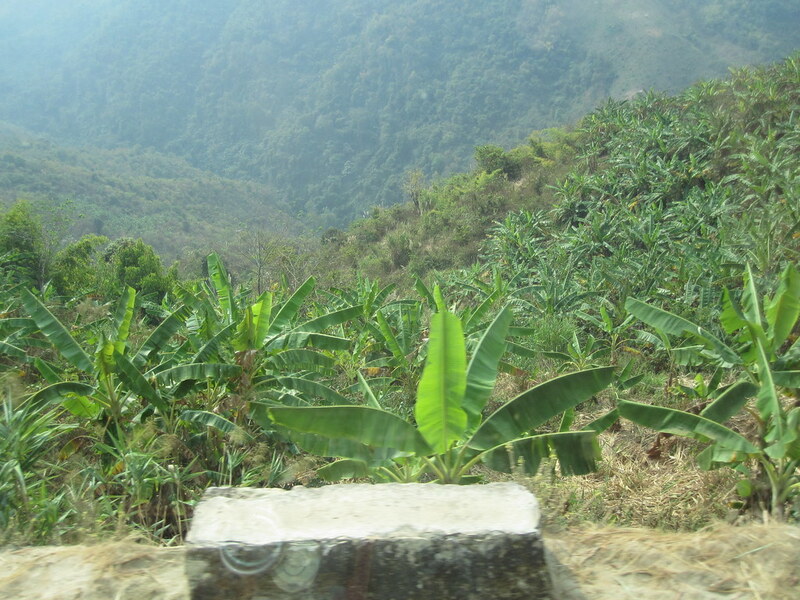 I took the bus from Luang Prabang to Vang Vieng through what is supposed to be the most scenic road in Laos. Actually, it’s supposed to be one of the most scenic roads in Asia. This is a drop-ff on my side of the bus. It’s a long way down. This is not the kind of road that you actually want to drive. You won’t get to see much because you had better be really, really focused on what is coming at you from the other side of the road and your side as well. There are no center lines in Laos and if there were I think Laotians would ignore them. This entry was posted in Travel and tagged Asia, Laos on March 1, 2011 by Steve.